*As found in The A.A. Service Manual Combined with Twelve Concepts for World Service by Bill W., p. S13. This website is an attempt to provide A.A. service information to the communities of Bermuda Dunes, Blythe, Cathedral City, Coachella, Desert Center, Desert Hot Springs, Eagle Mountain, Indian Wells, Indio, La Quinta, North Palm Springs, Palm Springs, Palm Desert, Rancho Mirage, and Whitewater. To keep the lines of communication open between A.A. World Service and the individual Groups through full registration and representation of all active Groups within the District geographical boundaries. To maintain A.A. World Services in the spirit of the Seventh Tradition by encouraging all Groups within the Districts boundaries to establish and participate in a regular contribution plan. To develop knowledgeable and experienced General Service Representative(s) (GSRs) through the study, practice and continuous application of the Twelve Traditions, the Twelve Concepts and the Six Warranties. To strengthen our Groups through our service work, and to ensure that the opportunity to recover from alcoholism through the practice of the Principles of the Twelve Steps, and that the Twelve Traditions will be available for the Alcoholic yet to come. All of the above can be found in the District 9 Guidelines, p. 1. 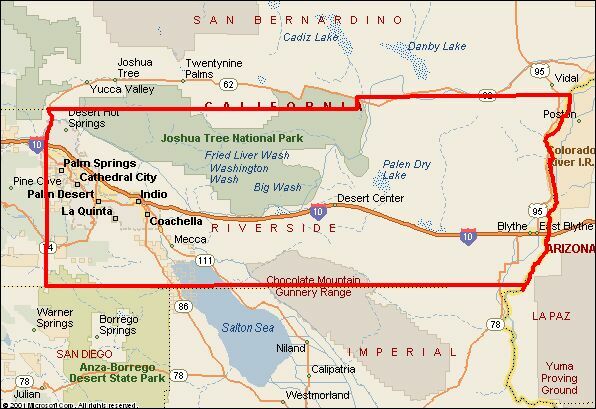 District 9 boundaries: Directly north from the intersection of highways 371 and 74 to the Riverside/San Bernardino county line. East along the county line to the Arizona border. South along the border to the Imperial/San Diego/Riverside county line. West along the county line to a point due south of the intersection of highways 371 and 74. Directly north to the starting point. Monthly General Service Representative meetings are held at Fellowship Hall in Palm Desert, CA. See the EVENTS page for scheduled meetings. When anyone, anywhere, reaches out for help, I want the hand of A.A. always to be there. And for that: I am responsible. — The A.A. Service Manual Combined With Twelve Concepts for World Service by Bill W., 2016-2018 Edition.